The fossil fuel companies—producers of oil, coal, and natural gas—are similarly expanding their operations in low- and middle-income countries where ensuring the growth of energy supplies is considered more critical than preventing climate catastrophe. “There is a clear long-run shift in energy growth from the OECD [Organization for Economic Cooperation and Development, the club of rich nations] to the non-OECD,” oil giant BP noted in its Energy Outlook report for 2014. “Virtually all (95 percent) of the projected growth [in energy consumption] is in the non-OECD,” it added, using the polite new term for what used to be called the Third World. As in the case of cigarette sales, the stepped-up delivery of fossil fuels to developing countries is doubly harmful. Their targeting by Big Tobacco has produced a sharp rise in smoking-related illnesses among the poor in places where health systems are particularly ill equipped for those in need. 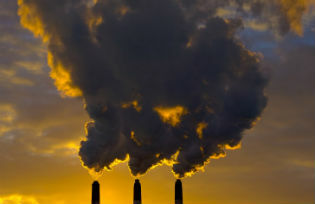 “If current trends continue,” the WHO reported in 2011, “by 2030 tobacco will kill more than 8 million people worldwide each year, with 80 percent of these premature deaths among people living in low- and middle-income countries.” In a similar fashion, an increase in carbon sales to such nations will help produce more intense storms and longer, more devastating droughts in places that are least prepared to withstand or cope with climate change’s perils. Exxon is also expanding its capacity to supply liquefied natural gas (LNG) to Asia. In partnership with Qatar Petroleum, it has built the world’s largest LNG export facility at Ras Laffan in Qatar and is building a mammoth LNG operation in Papua New Guinea. This $19 billion project, which began operation in April, includes a 430-mile pipeline to deliver gas from the island’s interior highlands to an export terminal near Port Moresby, the capital. “The project is optimally located to serve growing Asia markets where LNG demand is expected to rise by approximately 165 percent between 2010 and 2025,” said Neil W. Duffin, president of ExxonMobil Development Company. Nor are only the oil and gas companies pursuing this strategy. So is Big Coal. With coal demand declining in the U.S., thanks to the growing availability of low-cost natural gas generated by fracking, the coal firms are shipping ever more of their American output to Asia, which will contribute significantly to increasingly the carbon emissions there. According to the Energy Information Administration (EIA) of the Department of Energy, U.S. coal exports to China rose from essentially zero in 2007 to 10 million tons in 2012. Exports to India increased from 1.5 million to seven million tons and to South Korea from virtually nothing to nine million. Exports to just these three countries jumped by more than 1,000 percent during these years. In the Pacific Northwest, opposition to the coal terminals and the rail lines that will be so crucial to their operation—some of which will traverse Indian reservations and pass through green-minded cities like Seattle—is gaining strength. The process has been similar to the way climate activists mobilized against the Keystone XL pipeline that, if built, is slated to bring carbon-dense tar sands from Canada to the U.S. Gulf Coast. But the coal companies and their allies are pushing back, insisting that their exports are essential to the country’s economic vitality. “Unless the ports are built on the West Coast,” said Jason Hayes, a spokesman for the American Coal Council, U.S. suppliers won’t be viewed as “reliable business partners” in Asia.